Pair a day trip out of Osaka or Kyoto with a professional photo shoot at Mt. 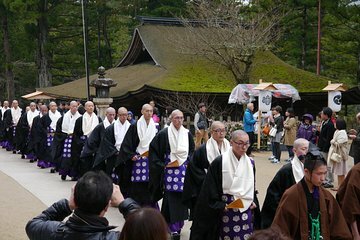 Koya, the UNESCO World Heritage Site that's known as the center of Esoteric Buddhism. With an experienced photographer as your guide, you'll travel to the summit of the mountain at Danjo Garan where temples and restaurants are found at every turn. At the end of the day trip, you'll be given an SD card full of unedited photos of your day.